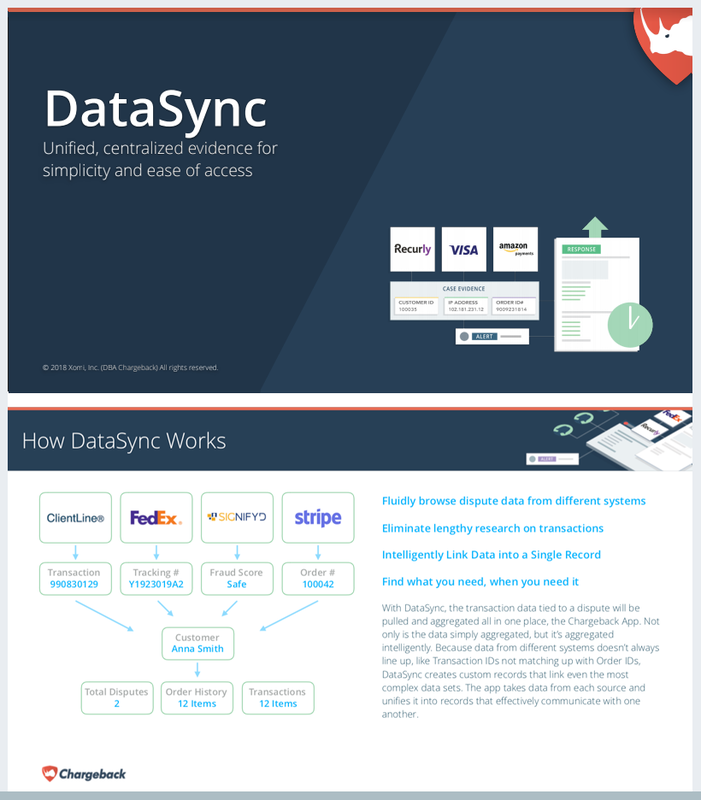 DataSync connects to all your data sources, making the compelling information needed for dispute responses easily accessible and, better yet, automated. The most complex problem in the world of automation is linking data together from multiple data sources. In the realm of dispute management, this includes linking data from an initial transaction across all other business services to get a full, instant view of a dispute. DataSync brings all the pieces of a dispute response together. 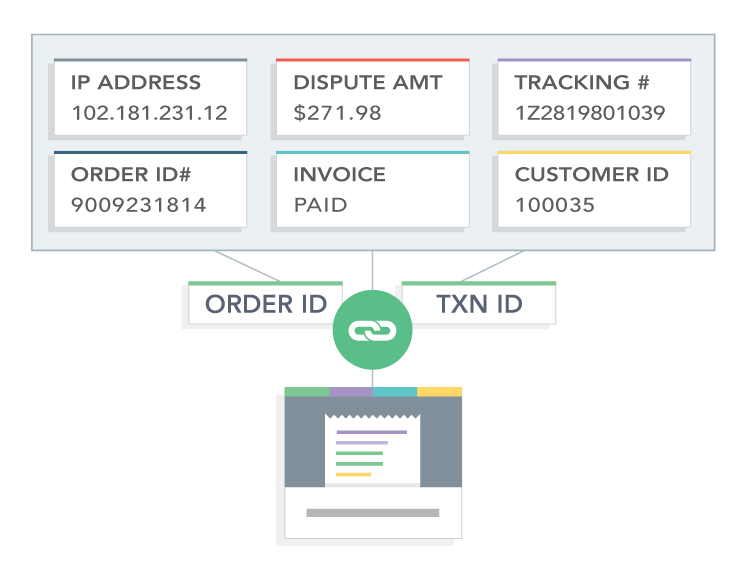 DataSync automatically imports order information, shipping updates, payment information, and more from a full commerce stack, and instantly links it all together using a common database. The Chargeback App has integrations and partnerships with payments technologies and ecommerce platforms to make the process of syncing data possible. It supports multiple integration scenarios with our API, as well as all forms of web services and file transfers. 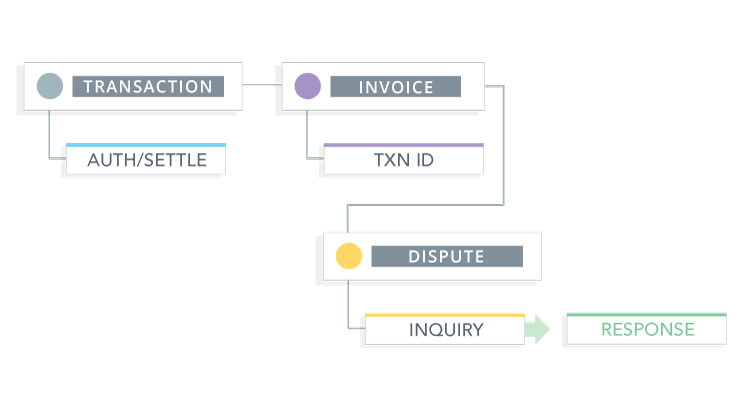 With DataSync, the transaction data tied to a dispute will be pulled and aggregated all in one place: the Chargeback App. Not only is the data simply aggregated, but it’s aggregated intelligently. 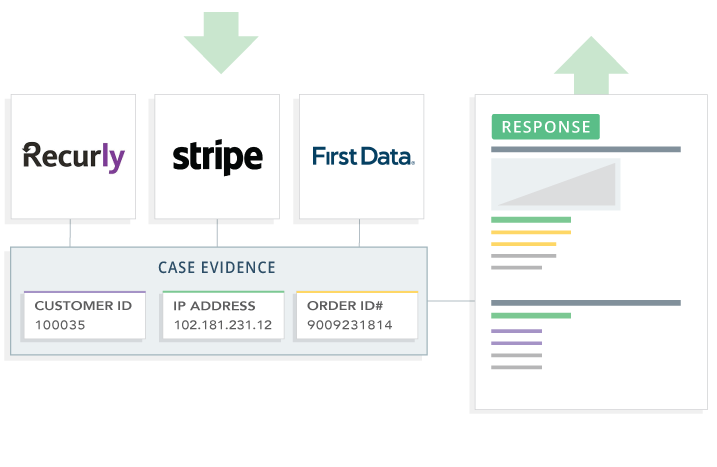 Because data from different systems doesn’t always line up, like Transaction IDs not matching up with Order IDs. DataSync creates custom records that link even the most complex data sets. The app takes data from each source and unifies it into records that effectively communicate with one another. The security of your data is of utmost importance. We take technical, contractual, administrative, and physical security steps designed specifically to protect data that you provide to us. 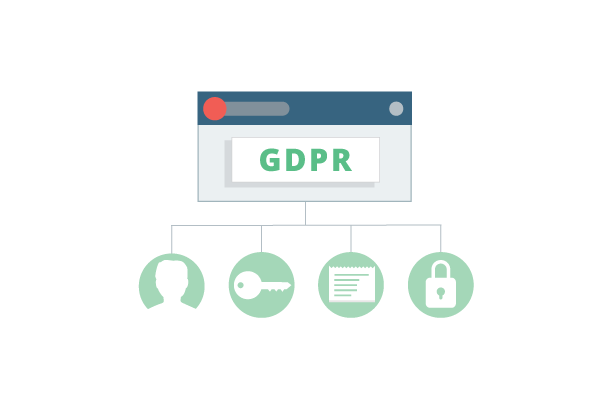 Furthermore, the Chargeback App take appropriate technical and organizational measures to protect the security of data belonging to residents of Europe to comply with the General Data Protection Regulation (GDPR). Ready to harness the power of DataSync?